More Scrappy Placemats by Cotton Way CW979. 14-1/2in x 18-1/2in. 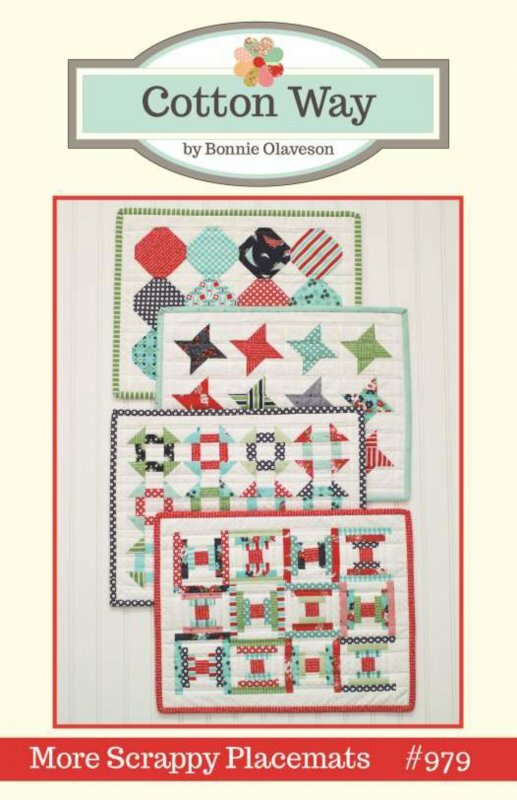 Four different pieced scrappy placemats.